STATegra is a EU funded project for the development of statistical methods and software for the integration of NGS and omics data. Our goal is to provide bioinformatics resources that the genomics community can easily use to integrate and to understand their experiments involving a variety of omics measurements. The STATegra has now generated several integration methodologies and a benchmarking dataset where up to seven omics data-types were obtained under a controlled experimental setting. 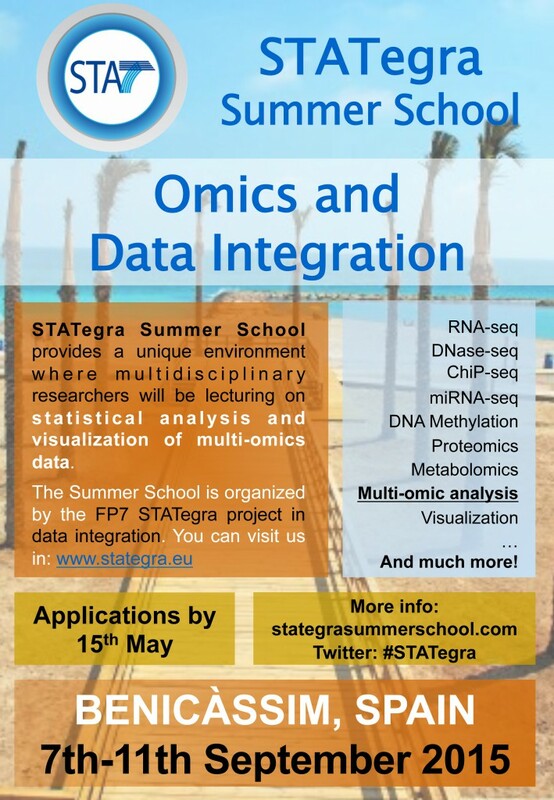 During the STATegra Summer School we will provide training to experimentalists and bioinformaticians in the analysis of multi-omics experiments.